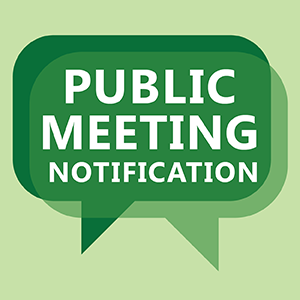 The S. Castell Ave. Visioning Plan public input meeting that was postponed last week due to inclement weather has been rescheduled for Wednesday, January 24 at 6:00 p.m. at the New Braunfels Civic Convention Center ballroom. A Community Open House will be held on Tuesday, January 23 from 3:30 to 7:30 p.m. at the Civic Center as part of the City’s Envision New Braunfels process to develop a new Comprehensive Plan. The S. Castell Ave. Visioning Plan meeting is the sixth in a series of public meetings to include the community in the visioning process that is in progress for the South Castell Avenue area in downtown New Braunfels. At this meeting, small groups will participate in table discussions on multiple topics then report back to the entire gathering with their thoughts and comments. Attendees will then be invited to speak and provide additional, individual input, if desired. The visioning plan for the site is designed to communicate to the development community what citizen expectations are for the area. This citizen-led process is a way for the City to share with the future developer what is important to the community and the public is encouraged to attend and participate. At the Community Open House, attendees can come and go as it fits their personal schedules. There will be opportunities to interact, discuss and provide input on growth scenarios, future land use plan sub-areas, market centers, corridors, strategies and other options that the groups have developed over the last several months. Feedback and key findings from the October meeting have been reviewed by the Steering Committee to generate growth scenarios. The public is invited to weigh in on their favorite scenario at the Open House. Feedback from the Open House will be used to identify a preferred growth scenario that will be included in a draft document that captures goals, strategies, and actions to achieve the future vision of the community. Additionally, a poll has been uploaded to the Envision New Braunfels website at: https://www.envisionnewbraunfels.org/participate-in-our-online-poll/. This poll provides the general public an opportunity to weigh in on the goals and strategies if they were not able to attend the October 30th workshop.